Baddie: Meddling non-mutants, I guess? Lesson: Turn off the light! 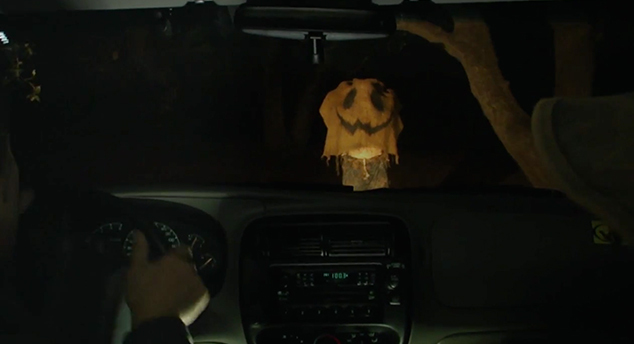 I first saw a trailer for Digging Up The Marrow when I saw It Follows. I was immediately intrigued. Posed as a mockumentary of sorts, Digging follows director Adam Green into an adventure best described as ‘monsters are real oh god.’ The movie opens with a series of interviews featuring some really great real people talking about why they liked monsters. I could personally go on and on about why I like monsters, why creature features are my favorite, but I think writing for three years and reviewing over a hundred movies for free speaks for itself. Admission – I’ve never seen any other Adam Green movies. In my defense, the Hatchet franchise has been on my list for a longggggg time, but I’ve heard good things and I’m very excited. 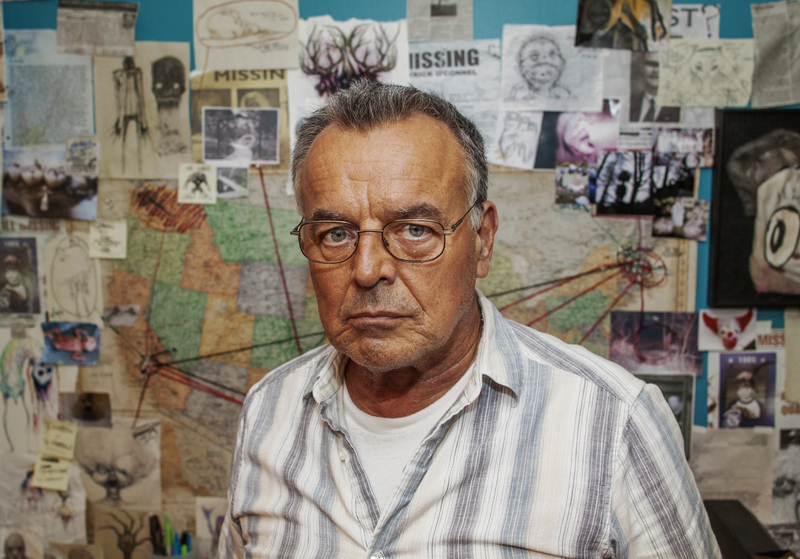 I was even more excited to discover Ray Wise was involved, playing William Dekker, the man who has found the monsters. Ray Wise, for those who don’t know, is a staple in some of my favorites, like, oh I don’t know, Twin Peaks. And to a lesser extent, the enjoyable but tame Reaper. And briefly, Psych. Also Jeepers Creepers 2. Man, he’s great. 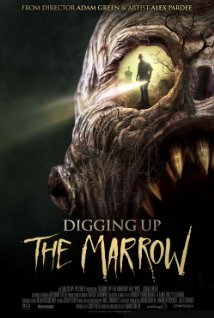 Digging Up The Marrow is somewhat self-indulgent for comedy’s effect (I hope). Adam talks about his own success at the beginning, and wears t-shirts of his own movies and franchises while filming Dekker. Essentially, the premise is that Dekker has been observing ‘monsters’ who live in a parallel city beneath the earth. He theorizes that it’s inhabited by the mutants born to the world and then colonize in The Marrow. The documentary tracks Adam and his cameraman Will as they try and uncover the truth. There’s a couple of neat cameos, and overall I would say that tension is effectively built when they are actively investigating The Marrow. That being said – there are a couple of problems. One is that a good mockumentary must first be a good documentary. This is an average documentary at best. Second is that there’s a reason we have actors. They are good at acting. Writers and directors are not necessarily good actors. They are good at writing and directing. Occasionally this would result in a jarring experience. Thirdly, almost all the scares are jump scares, based on vision impairment. This can be an effective method in a movie like The Descent, but is kind of cheap feeling here. I would venture to say that Digging Up The Marrow is a neat little picture. It has humor, solid scares and average tension. A great performance from Adam Green and Ray Wise, but nothing terribly spectacular. Good special effects work, but I personally felt like the creatures felt a little cartoon-y to be truly effective. Some of the vagueness contributed to the whole feeling, and made some parts more believable (see: Dekker’s last scene). Fantastic ending in general though, really. A little vague, but great. Fun side note; the film features the art of Alex Pardee who originally conceptualized Into The Marrow and pitched the idea to Green. Questions? Hate mail? Suggestions? Love letters?